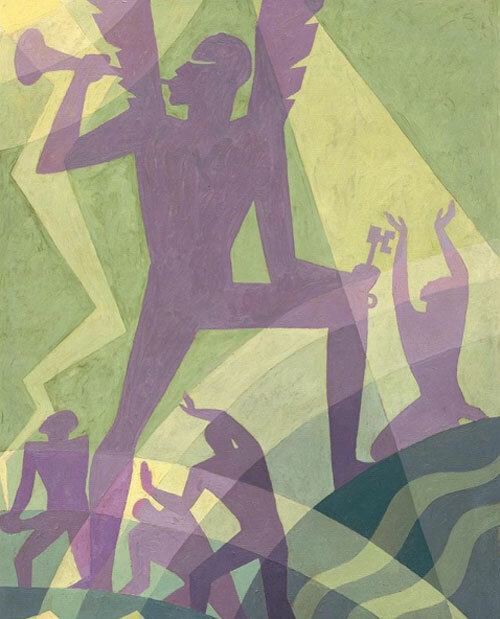 AARON DOUGLAS was a significant artist and influencer during the Harlem Renaissance and this biblical work The Judgement Day depicts a black Gabriel standing between earth and sea as an archangel using his trumphet to summon the living and the dead to judgement. Why not see this incredible work of art on your lunch break? The Judgement Day is on view at National Gallery of Art, East Building, Gallery 106B and admission is free.